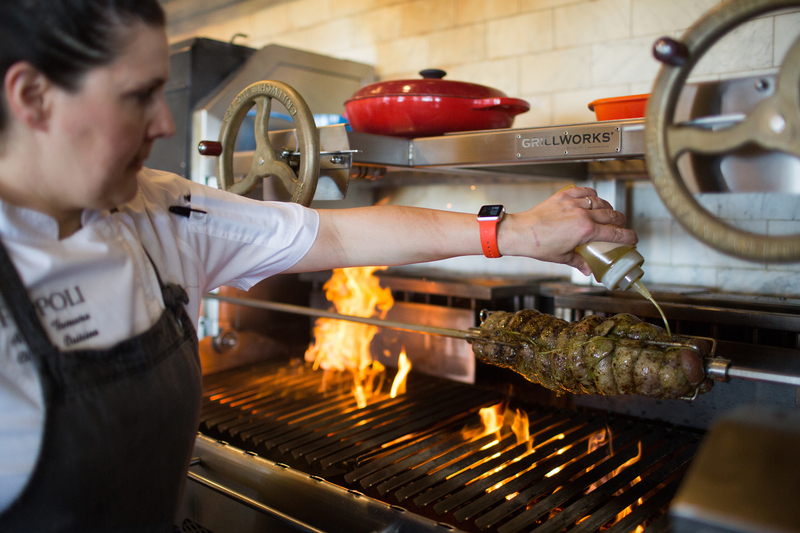 The praise of the sleek Grillworks wood-fired grill that has transformed the exhibition kitchen in Pèppoli at Pebble Beach is very nearly literal. It was built by metal artists who gained their mastery restoring classic cars, including the rarest of Ferraris. 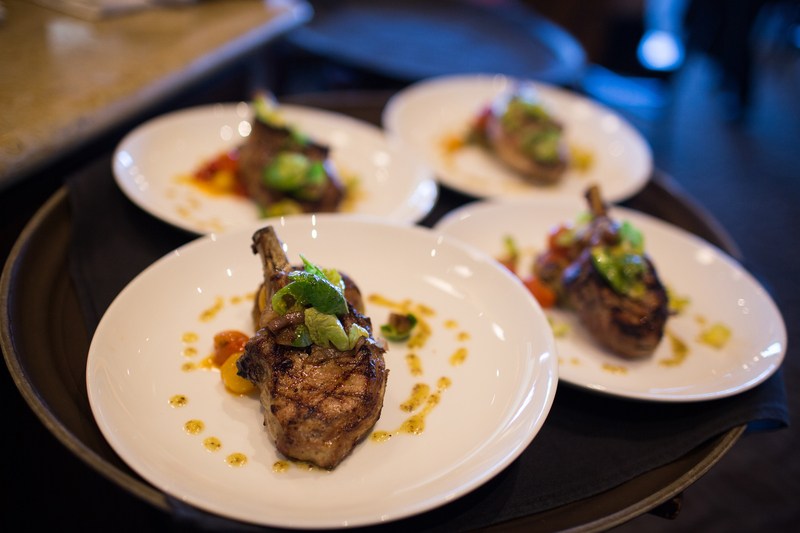 And now it’s serving up classic Tuscan cuisine infused with savory wood-fired flavors, just like you’ll find in the heart of Italy. 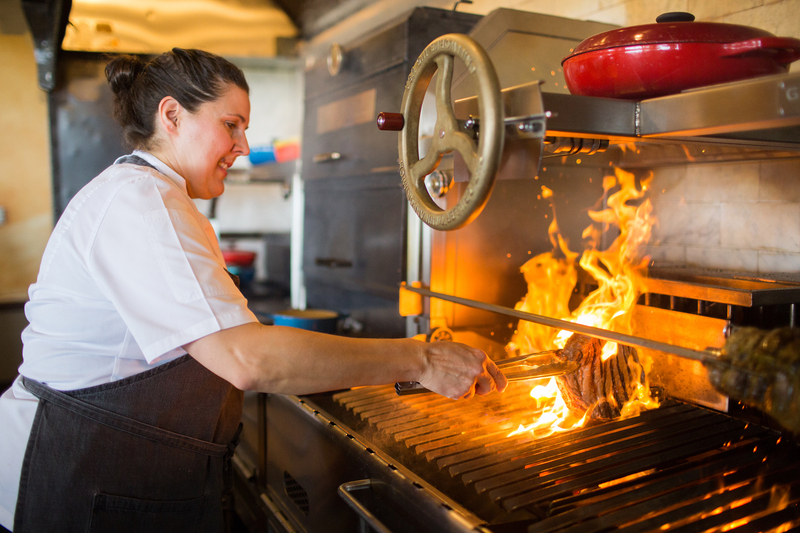 “Wood-fired cooking is definitely is a huge part of the cooking culture in Tuscany,” says Chef de Cuisine Angela Tamura about the region hailed for its famous Florentine steak. Pèppoli worked with the same kitchen setup for its first 15 years, but upgraded to this grill last year. “Because it’s an exhibition kitchen, we really wanted to have something that was a ‘Wow’ statement,” says Tamura. Now the almond wood, cherry wood or mesquite flavors can soak into almost any dish, a final missing ingredient. Sausage is now homemade and smoked. Salmon and vegetables take on an added infusion of flavors. The skin on the Jidori Chicken can get extra crispy. And those monstrous tomahawk t-bone steaks seasoned with smokey goodness are the signature attraction that this grill was built to cook. The 20-foot long grill has also increased the capacity of people Pèppoli can serve on a given night, jumping from 80 to 180. “There are so many surfaces we can cook from,” says Tamura, pointing out that even fresh ricotta can now be served up bubbling hot. 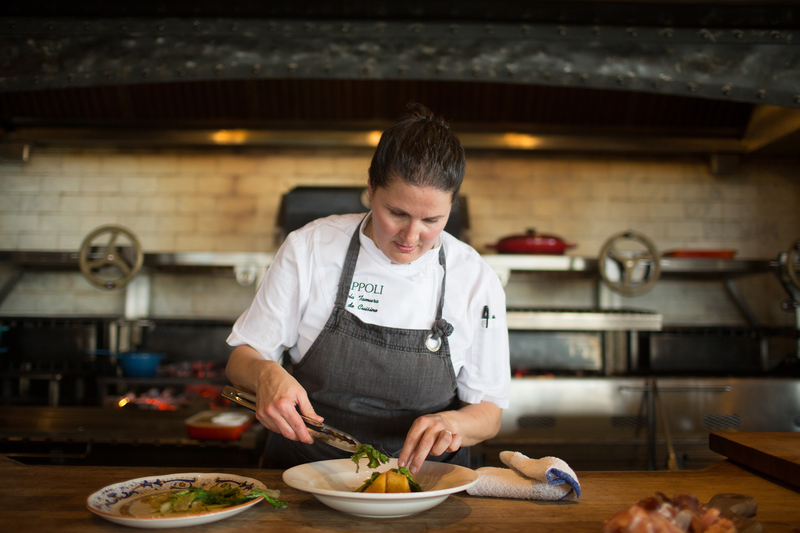 The efficiency of this kitchen setup has also helped Tamura and her culinary team hone in on truly authentic and quality dishes. When Tamura started at Pèppoli in 2010, only one pasta was made in-house. Now on any given night, nine different pastas are homemade. “We’re thinking, ‘What can we do now to make it more interesting, and more unique? How can we get more flavor into it?’ ” says Tamura.